We believe that every New Mexican should have access to high-quality, engaging, and meaningful environmental education opportunities. This will lead to a thriving future for all, where environmental and social responsibility drive individual and institutional choices. 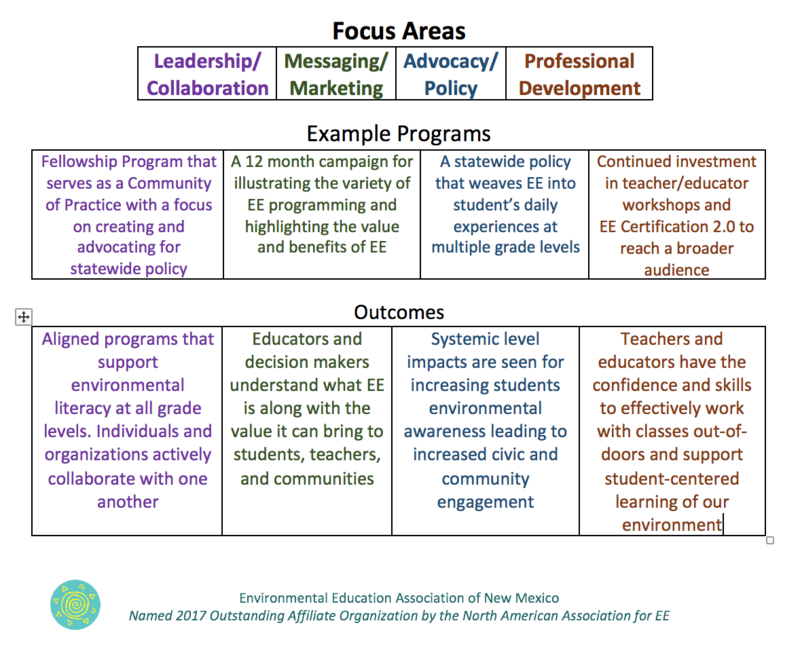 Through implementing an advocacy-focused movement as well as advancing collaboration and leadership, EEANM will ensure every NM child has equitable access to environmental and outdoor learning. By investing in leaders and collaborators that represent a variety of educational experiences and perspectives, the ultimate recipients of our work will be the heart of New Mexico, our students from preK-12thgrade. In 2018, EEANM embarked on a year-long, whole-system analysis of EEANM centered around the vision that there must be systems in place to include Environmental Education into daily learning for New Mexico’s 300,000+ K-12 students. With roughly half of New Mexico lands comprising public lands, there are endless opportunities for New Mexicans to explore the beautiful landscapes and ric h cultures of our state. EEANM hosted three community dialogues on topics like the “Economics of EE” and “Using EE to Support the Whole Student” for over 100 thought leaders in education, conservation, environmental justice and outdoor recreation. In addition to these dialogues, we opened a virtual comment period for four weeks to gather input statewide. 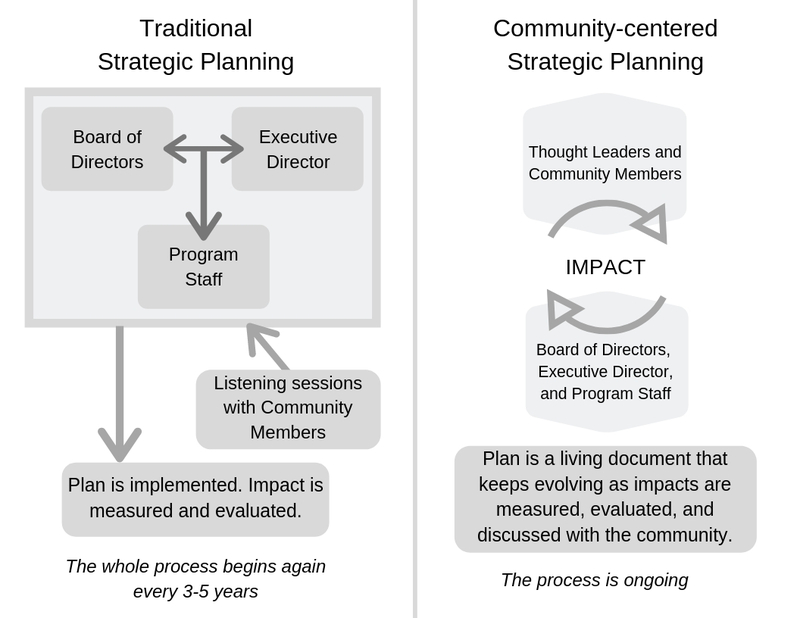 This community-centered approach allowed us to learn from a diversity of perspectives, experiences, and interests. The process was created and facilitated by Vicki Pozzebon, Purveyor of All Things Local. As one of 56 Affiliate Organizations of the North American Association for Environmental Education, we are creating an equitable and sustainable world for all through professional and collaborative learning. We are part of the largest network of environmental educators in the world, connecting us to over 150,000 educators annually. Collectively, we empower educators, schools and communities to impact conservation, education, social justice, health and wellness, and youth development. Since 1991, the Environmental Education Association of New Mexico (EEANM) has been providing, promoting and enhancing quality environmental education by providing New Mexicans opportunities for collaboration, communication, and professional development. THANK YOU to the McCune Charitable Foundation for their generous support of this work!